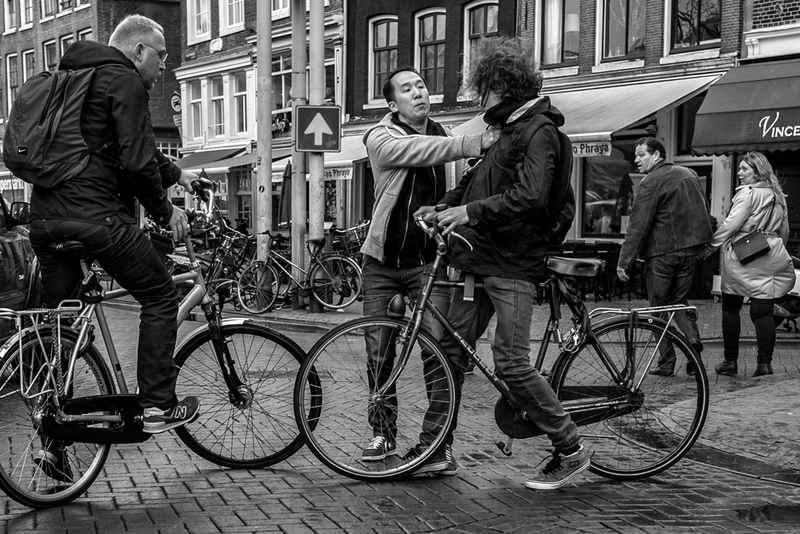 Last weekend I had a wonderful photowalk with some friends through Amsterdam. We also visited the exposition of Cor Jaring and from that moment Cor is a new hero for me. During our walk we saw this little confrontation.